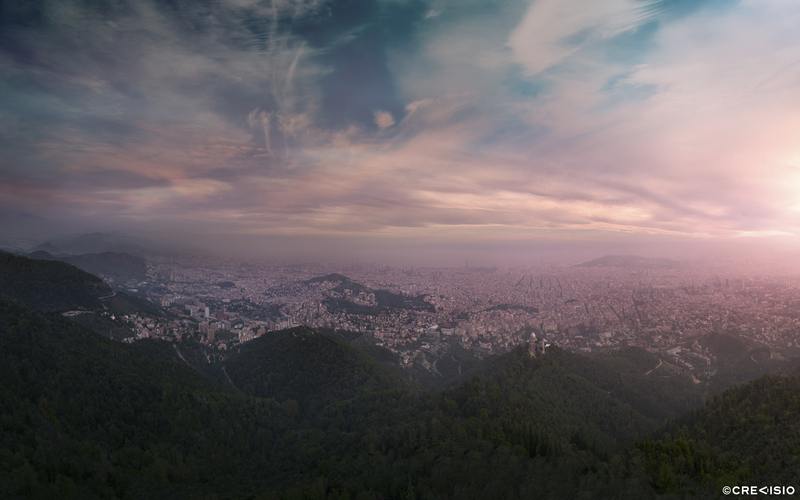 Panorama of Barcelona at sunset. This photograph was taken from the top of the Mount Tibidabo, overlooking the beautiful cityscape. The full resolution of this ultra high resolution photograph is 144 megapixel (15,176 × 9,485 pixels at 300 dpi). You may download a free high resolution wallpaper version for personal use by clicking on the photo or on the full resolution link provided. For commercial use, please contact Crevisio.